Dubai, United Arab Emirates: For the fifth straight year, Nissan has been recognized as one of the world’s most valuable brands according to the prestigious Best Global Brands Study by Interbrand, the world-leading brand consultancy. 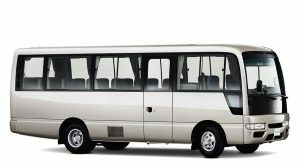 This year, Nissan was ranked as the 43rd most valuable brand in the world – an increase over last year’s ranking of 49th. Nissan now has a brand value of over $11 billion. 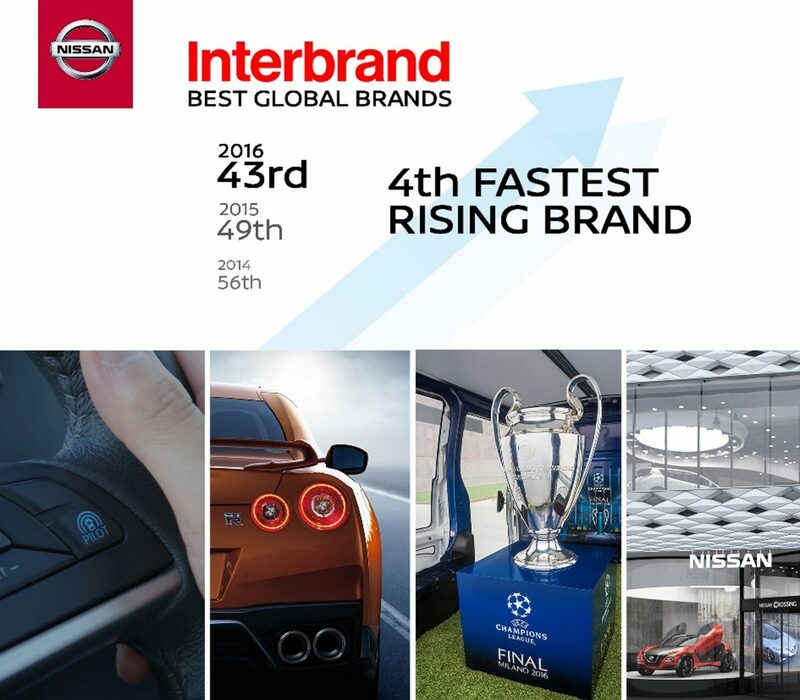 This year’s ranking puts Nissan as the 4th fastest growing brand in the world. This recognition reflects Nissan’s continuing efforts to drive solid business results by increasing brand visibility. Nissan has become more proactive in building excitement for the brand in part by telling the story of the company’s Intelligent Mobility blueprint for making driving safer, more exciting, and more sustainable. During the past year, Nissan has also raised brand awareness through several high-profile sponsorships, from the 2016 Rio Olympics to the UEFA Champions League. Nissan’s success in creating modern new expressions of the brand, as seen through the recent opening of Nissan Crossing in the Ginza district of Tokyo. The Best Global Brands study is Interbrand's annual report on the world's most valuable brands. Interbrand's method looks at the ongoing investment and management of the brand as a business asset, taking into account financial performance, the role of brand in the purchase decision process and the strength of the brand. For more information about Interbrand's 2016 Best Global Brand Study, please visit http://www.bestglobalbrands.com/ .